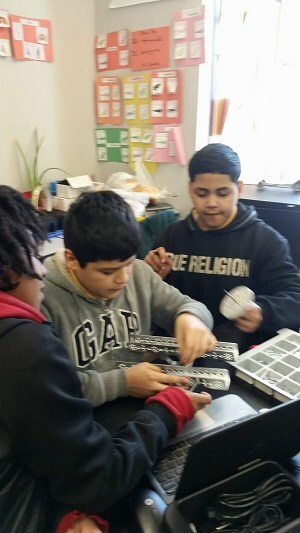 Grants fund after-school robotics program. This year has been full of grants for HRMS math teacher, Marsha Neal! 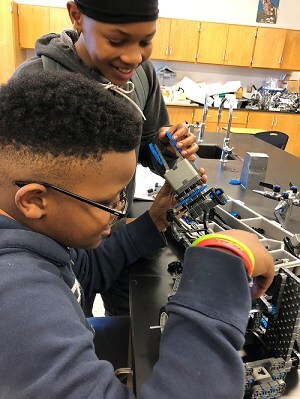 Because of several of these grants, enough First and VEX IQ robotic kits were ordered to start an after-school robotics program at the middle school. 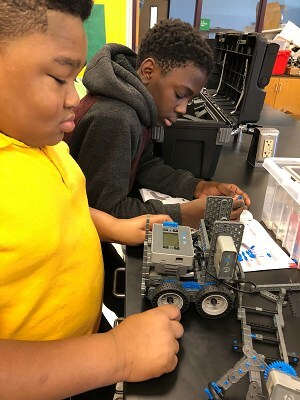 Ms. Neal first became aware of the VEX IQ robots last year when she took her afterschool STEM group to Calhoun Tech in Orangeburg, SC for a 4-H competition. 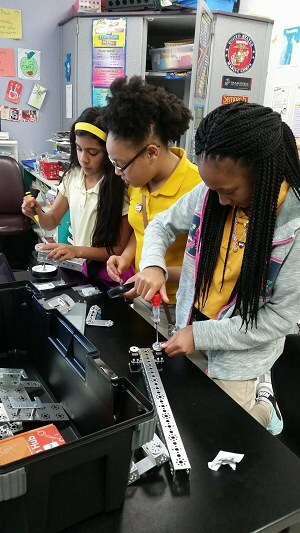 There was a display of the robots there and the STEM students loved them. 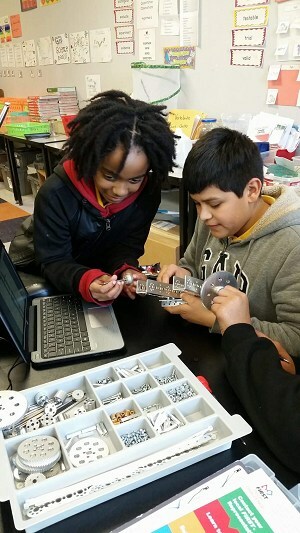 She signed up and was accepted to a week-long summer program at the college to learn all about the VEX IQ robots. 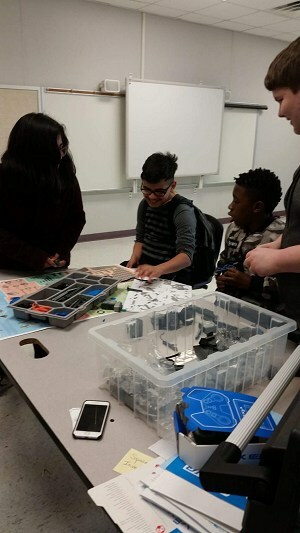 The after-school robotics program involves 4 VEX IQ robotic kits, as well as 2 First robotic kits. 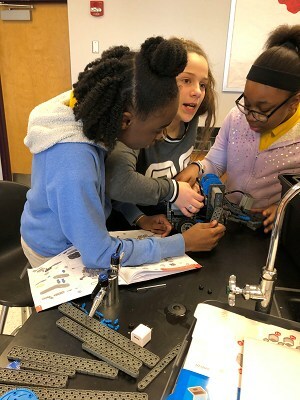 We have enough girls involved that we will be able to have an all-girls team, which was an original goal of both Ms. Neal and Tracye Stormer, Director of Technology for JCSD. Hopefully, by the students competing next year across the state, it will open up numerous scholarship opportunities for them in the future.